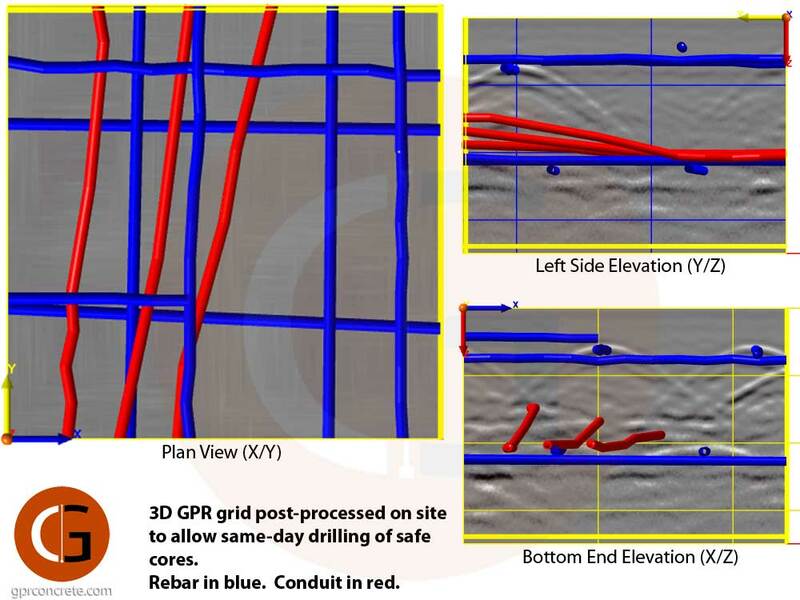 With 3D GPR methods, we collect high resolution data of an entire area and create a 3D data model. 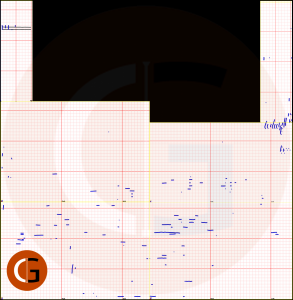 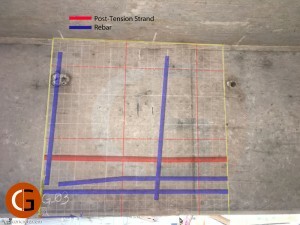 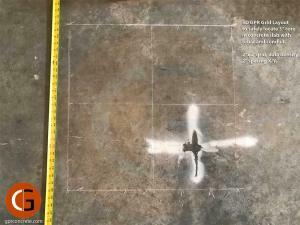 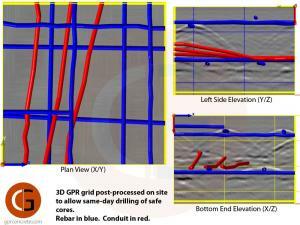 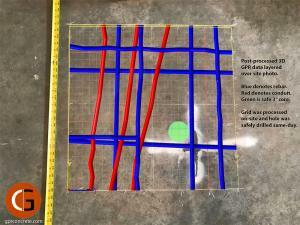 We then post-process this GPR 3D model and report the comprehensive findings back to you. 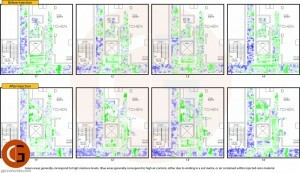 This service is key in re-creating accurate as-built documentation of existing conditions. 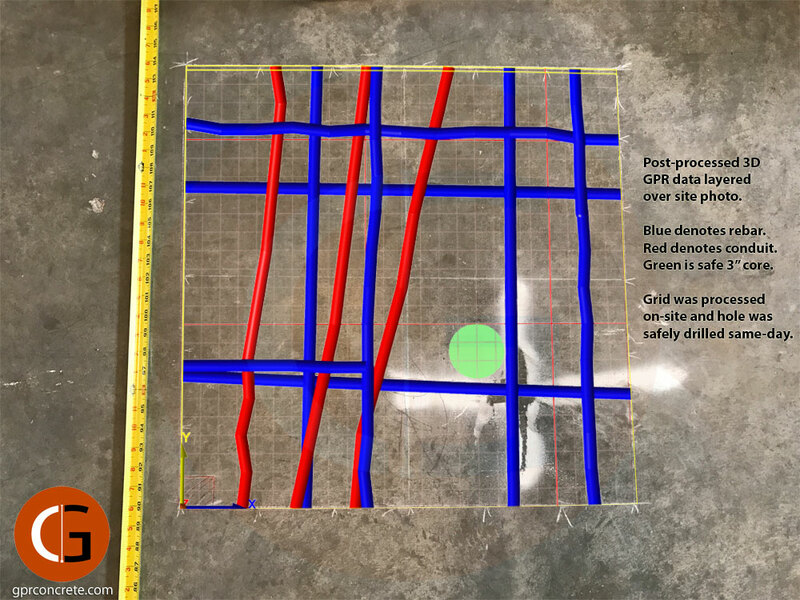 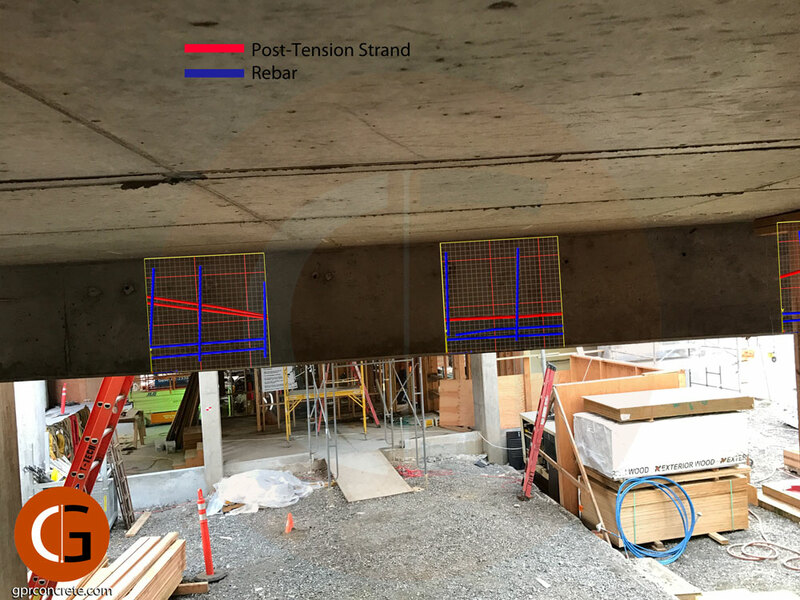 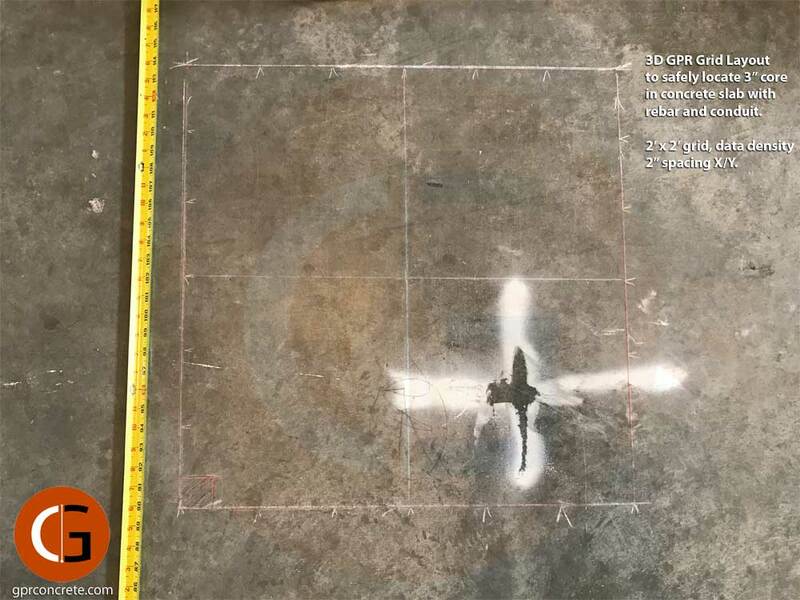 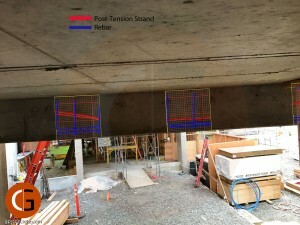 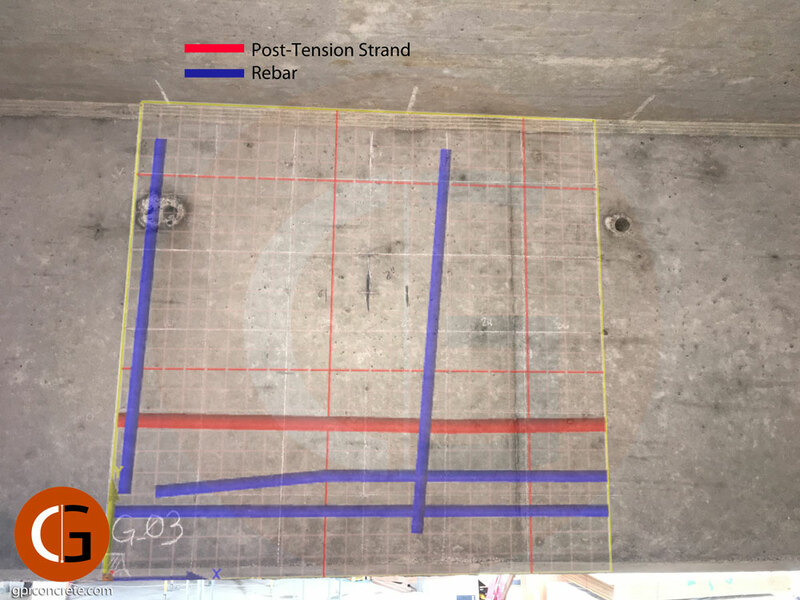 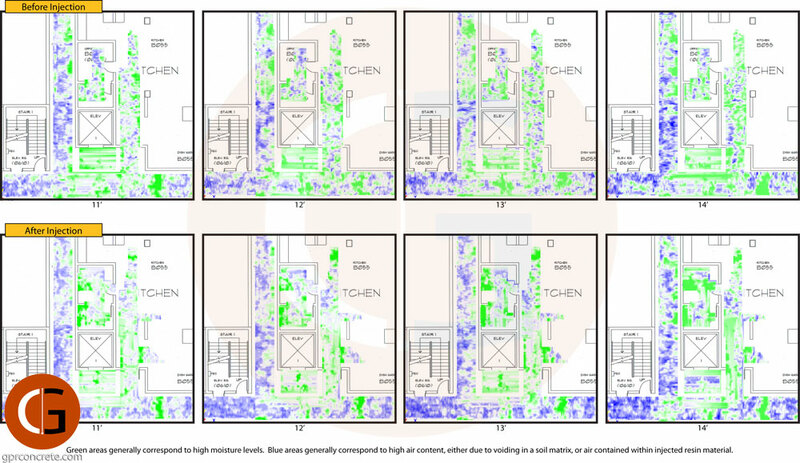 It’s extremely useful when working with thickened concrete, highly congested areas, and sensitive locations which require permanent documentation for peer review and third-party approval. 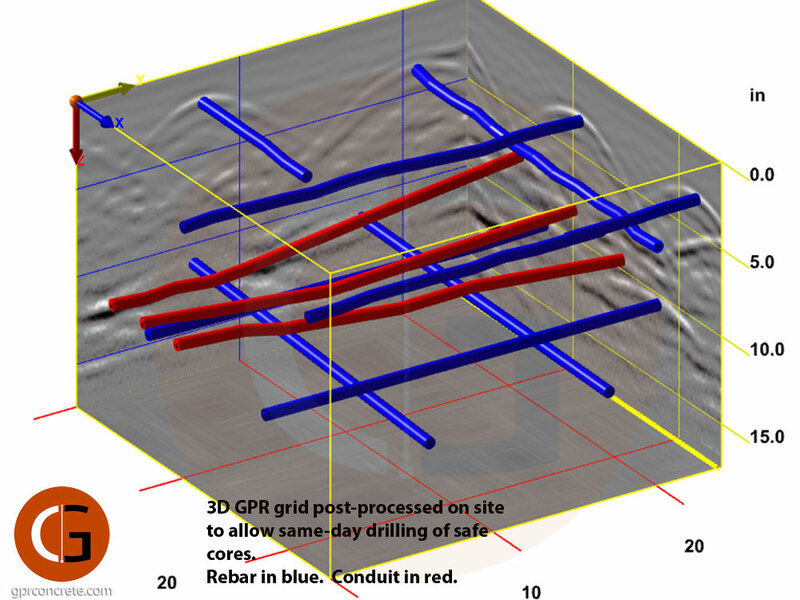 The gallery below includes selected photos from various 3D ground penetrating radar data collection projects.